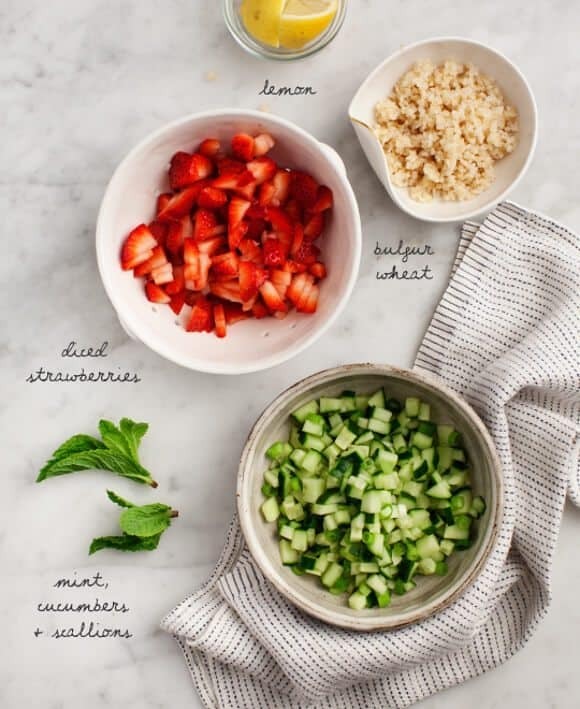 A beautiful strawberry tabbouleh recipe adapted from The Sprouted Kitchen Bowl + Spoon by Sara and Hugh Forte. With vegan & gluten-free options, it's great for a picnic. 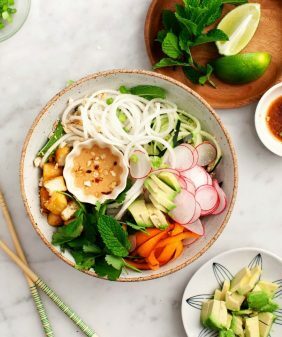 After I posted my list of favorite spring cookbooks, I could tell that this is the book you’ve all been waiting for – and I’m here to tell you that Sara & Hugh Forte’s new book, Sprouted Kitchen Bowl + Spoon, doesn’t disappoint. The photos are of course gorgeous, and the food… well it makes you want to dig in with a spoon because all of it, like this tabbouleh recipe, looks so incredibly vibrant and delicious! Instead of putting my own spin on things, I thought I’d go crazy and just follow the tabbouleh recipe exactly as Sara wrote it. (Except I didn’t have parsley so at the last minute, I chopped up basil). 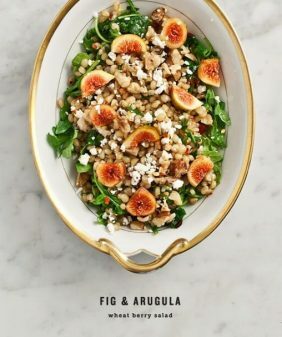 I don’t cook a lot with bulgur but I should – it’s so easy to make, and I love how it has a more mellow flavor than quinoa. Of course, if you’re gluten-free, go ahead and use quinoa in this recipe. Feta is optional in this tabbouleh recipe, but since she made a special note about how her “resident taste tester would argue it’s absolutely necessary,” I went for it. The only thing that was really missing here was the pretty picnic scene that should have been in the background. We ate this salad for dinner last night, but it would definitely be picnic-perfect. Other recipes that are on my list: the Hippie Bowl (check out this cute post from A Couple Cooks), the Tahini Kale Slaw & Roasted Tamari Portobello Bowl, and this mixed berry tiramisu. Click here to get the book! 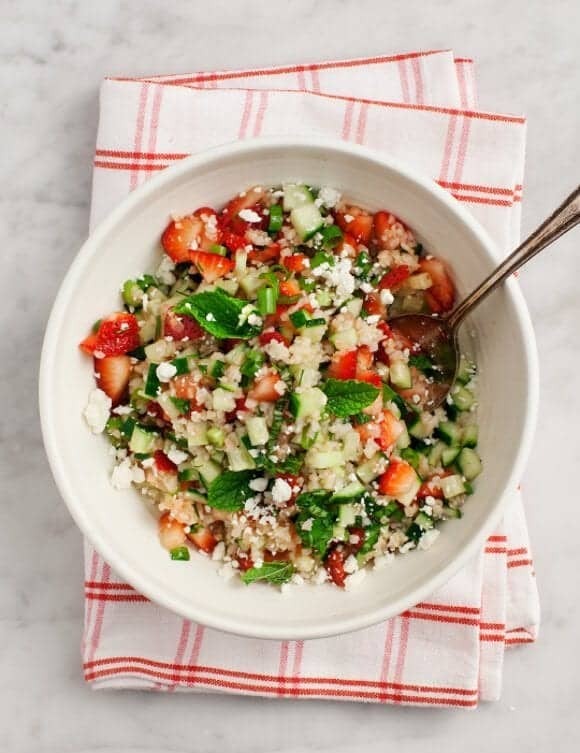 This Strawberry Tabbouleh recipe is from The Sprouted Kitchen Bowl + Spoon by Sara Forte. Full of color and lightly sweet, it's perfect for a summer picnic. Rinse and drain the bulgur. Bring 1¼ cups water to a boil, add the bulger, turn off the heat, cover and set aside for 25 to 30 minutes or until the liquid is absorbed. Stir in the garlic, fluff with a fork, and set aside to cool. The tabbouleh will keep covered, in the fridge for 3 days but it's best the day it's made. 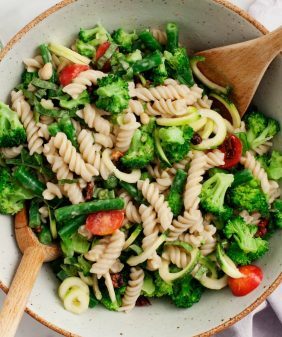 To make this gluten-free, use quinoa instead of bulgur wheat. Recipe printed with permission. This post contains affiliate links. Yum! Super excited about this book as I loved her last one. These colors are so great! All of these things I love in a salad as well. Never thought to pair strawberries with tabbouleh, but it’s perfect especially for this time of the year. Sara never disappoints, does she?! If you love the sweet / savory combo in Salads – try her Kale Caesar with Cornbread Croutons (also in Bowl + Spoon). The Cornbread adds a perfect sweet crunch! 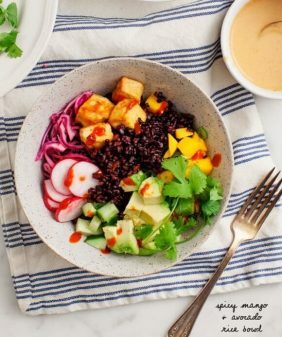 I love all the colour in this meal! It’s great to see fruit being used in a meal I already love, but I’m bummed out that in tropical Australia strawberries only come one way: frozen. Yes! I’m excited to try this recipe as well. 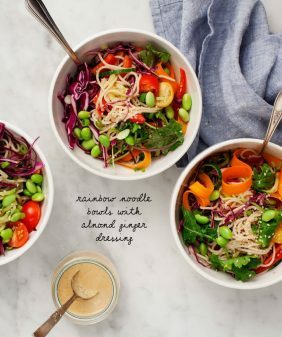 I am in love with Sara’s book too, and I’ve tried the Hippie Bowl and Tahini Kale Slaw & Roasted Tamari Portobello Bowl, and both are amazingly delicious! I love strawberry and you made my day thanks for it.. I love Tabbouleh – the strawberries are a fun and interesting twist. 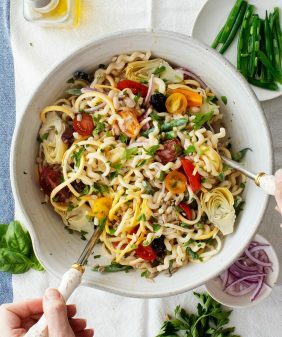 I love your dish.It looks so yummy.Today i will try this delicious recipe. YUM… these look ridiculously amazing. And your food photography is seriously impressive. Can’t wait to make this one! this really shouldn’t be called tabbouleh if there isn’t parsley in it. That would be like saying something is a serving of chili cheese fries but instead of chili its gravy.